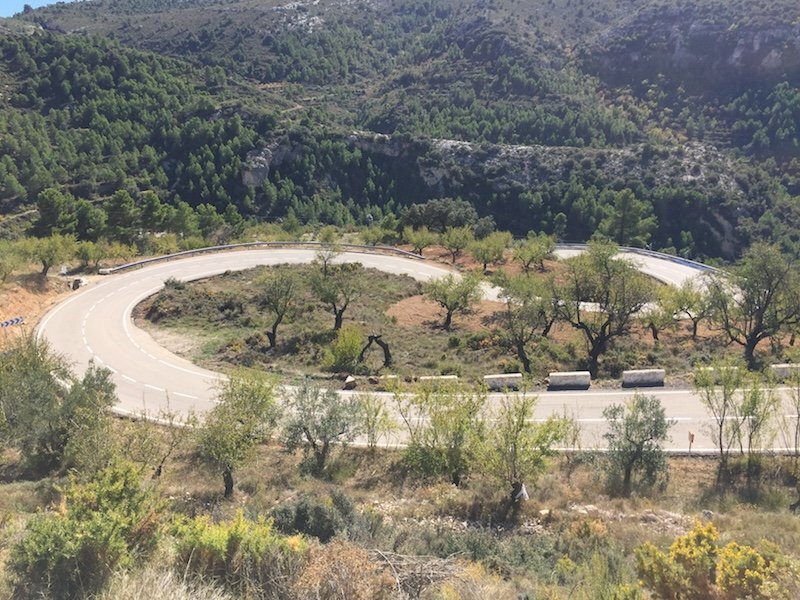 With nearly 140km of tight bends, magnificent mountain scenery and a world-class motorcycle museum, the round route between Pego and El Castell de Guadalest is one of the world’s best biking experiences. Welcome to a biking nirvana, the Costa Blanca Loop. In the end, I lost count of the number of corners. 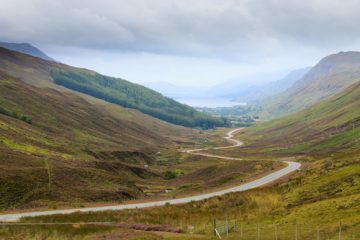 I’ve since tried counting them on Google Maps but kept being distracted by the memory of a chicane, switchback or seemingly endless series of connected bends. At a guess, I think there are around 500, over a 137km route (plus an extra 26km of more bends if you fancy it). They snake among the hills of the Costa Blanca’s mountain ranges, including the Serra de Aitana and their glorious valleys, the most famous of which is the truly stunning Vall de Ebo. 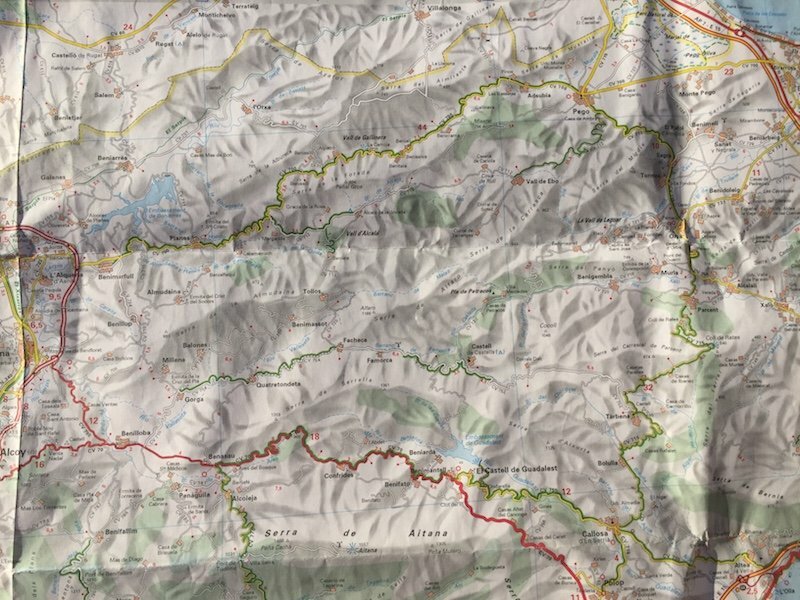 The bends are mostly tight, rarely the sweeping curves of the Grossglockner or the TT’s Mountain Road. They’re not hell-for-leather knee-down on a sports bike corners, but there’s nothing to say you can’t attempt a bit of that. No, these are more for an upright bike where you use the weight of the bike to tilt you round tight U’s and curvy crests. If you want to scrape the pegs a bit, this is definitely for you. 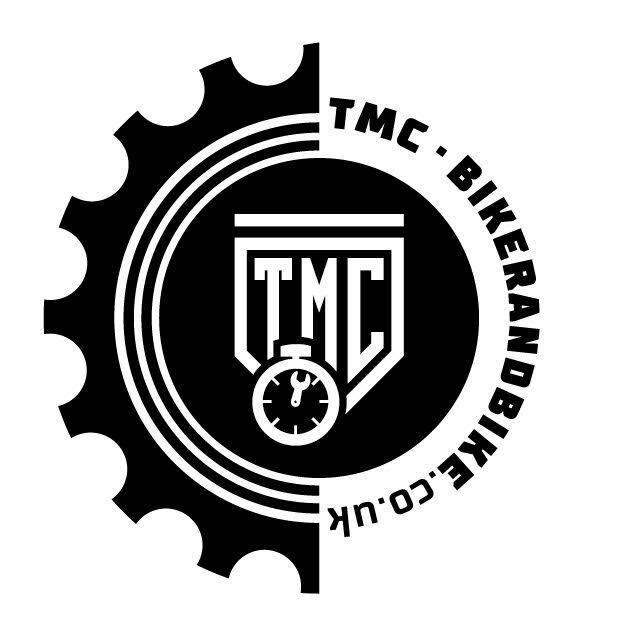 ©Biker&Bike. Bendy bits. Lot’s of them. A naked, a lightweight cruiser or an adventure bike is perfect here. 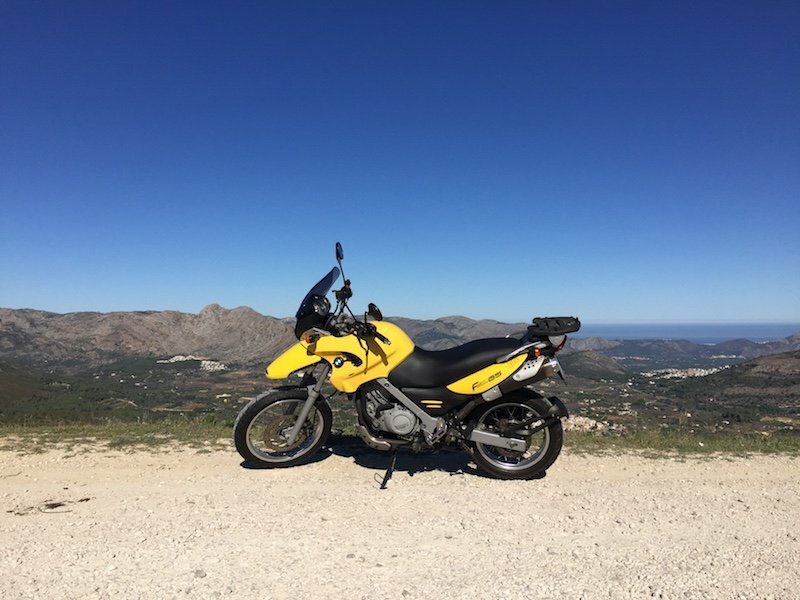 I hired a BMW F650GS, still in great shape after 80,000kms, quite torquey, with second and third gears offering plenty enough grunt to power out of a curve before the next one comes up pretty rapidly. 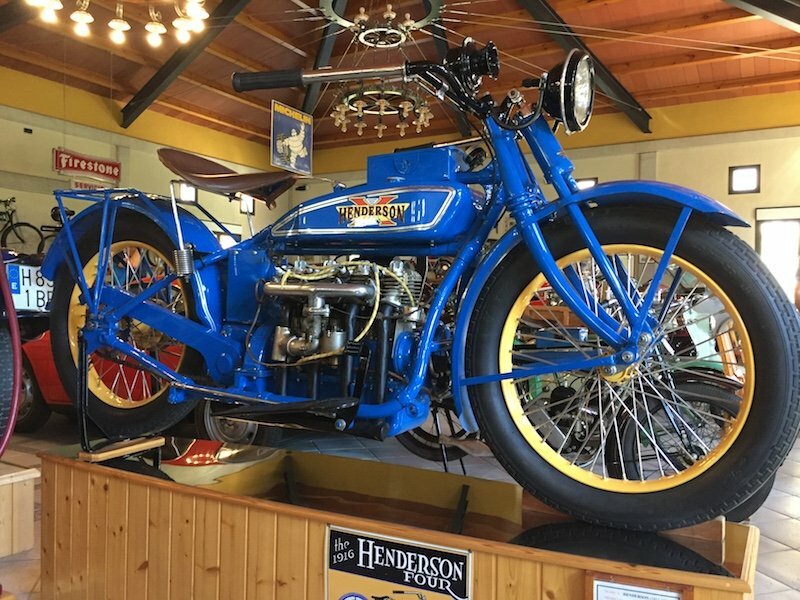 The perfect bike would be a triple or a twin, where the extra engine braking would have eased the slight suspicion that the brakes could overcook at any time. But that’s my hooligan tendencies surfacing. It’s possible to ride this route at a steady pace and enjoy each corner with gear selection, throttle balance, apex hit power-out perfection. Or just forget about all that and simply enjoy the corners and toffee-smooth tarmac. © Biker&Bike: The F650GS is a great bike for these curves, with a low centre of gravity thanks to the position of the petrol tank. Potholes are pretty much unheard of, and the standard of road-making is probably only possible because of plentiful EU grants, but who cares. 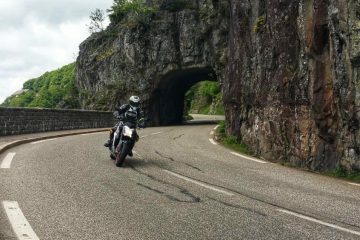 The roads on this route are perfection for bikers. 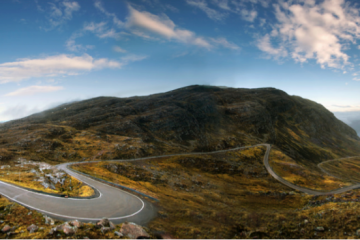 It’s a wonder the route doesn’t feature in many ‘world’s best rides’ lists, instead of being somewhat ‘in the know’. So perfect indeed is this whole route that despite being saddle sore by the end of it (though wonderfully spongey, the GS’s front-tilting seat does get tiresome after 5-6 hours), I could very happily have turned around and done the whole thing again in reverse. In fact, it’s not a bad idea to turn this day-long route into a two-day weekend. 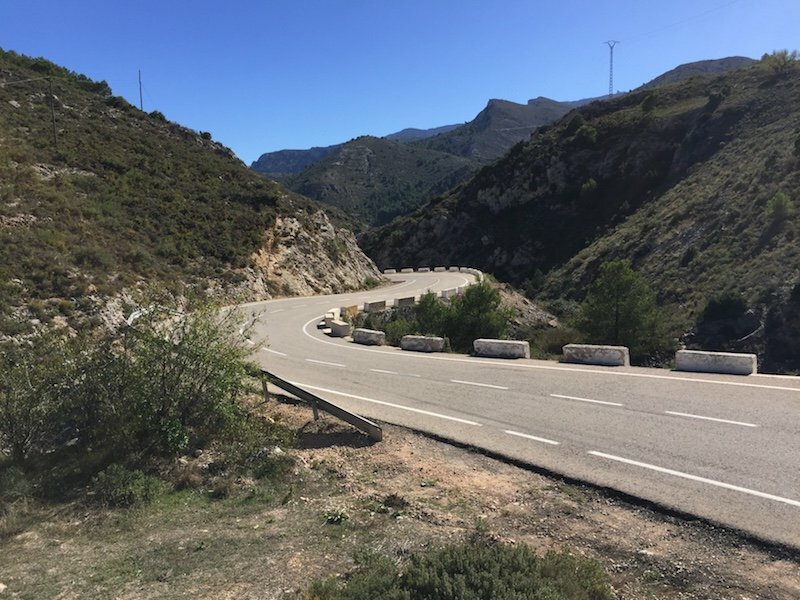 It’s too far to ride over from the UK so, unless you are already touring Spain on a bike, or live there, this trip is best incorporated into a holiday on the Costa Blanca, Spain’s stunningly beautiful coastal region around Alicante. If you are holidaying in Altea, Benidorm, or Denia/Xàbia, this is the perfect excuse to grab a hire bike and get a dramatic change of scenery from the famous white beaches and miles of Valencian orange orchards. For a weekend trip, this is definitely a fly-ride-fly option, from either Valencia or Alicante. Now I’ve discovered the road, this is what I’ll be doing each year, or as many times as cheap flights will allow. It’s that good. 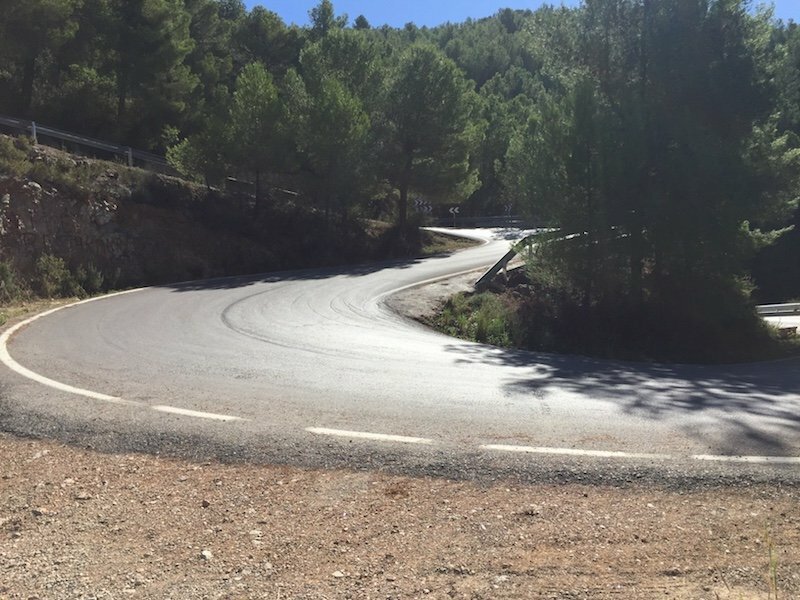 I rode the route in late October, Summer will be busier, and the route was all but deserted except for the odd group of cyclists either practising for the Tour de France and Vuelta a España or pretending they were. Because many corners are so tight, the majority of the route is single white line and you may have the odd time when you’ll need to wait to pass. In general, the cyclists do pull to one side to let you pass. The scenery is spectacular. The reason you can spend a whole day doing less than 140kms is that you stop so often to take in the mountain views. Apart from a short stretch of toll-free Autopista, and some low-lying sections near Pego, this is pretty much a series of continuous corners, broken up only by the occasional small town or village. Many of them pretty enough to make you want to pull over for 30 minutes and drink in the atmosphere as well as a Coke. The other reason to make a day of it is the Museo Colección de Vehículos Históricos Valle de Guadalest. Or bike museum, for short. 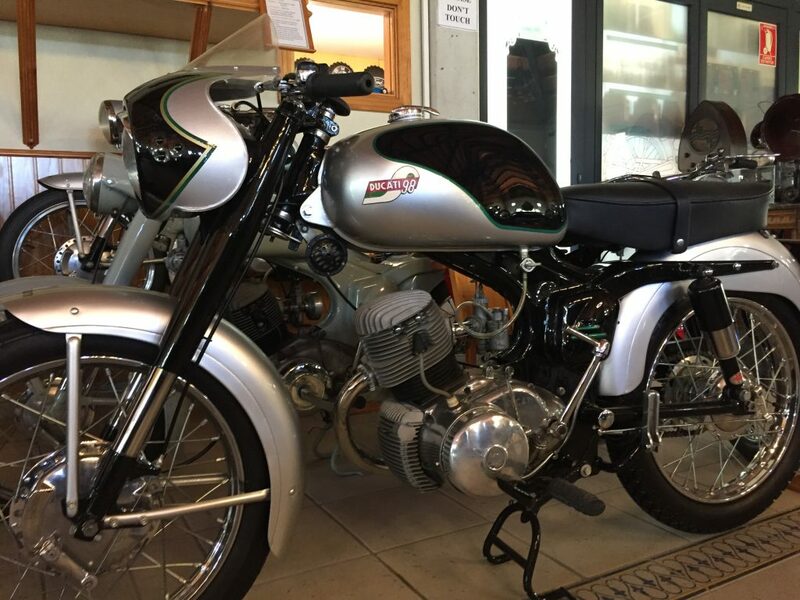 I’m obsessed by bikes but, honestly, I’ve seen enough vintage Brough Superiors, Vincent Black Shadows and every other Bonny wannabee bike that usually makes up a motorcycle museum. 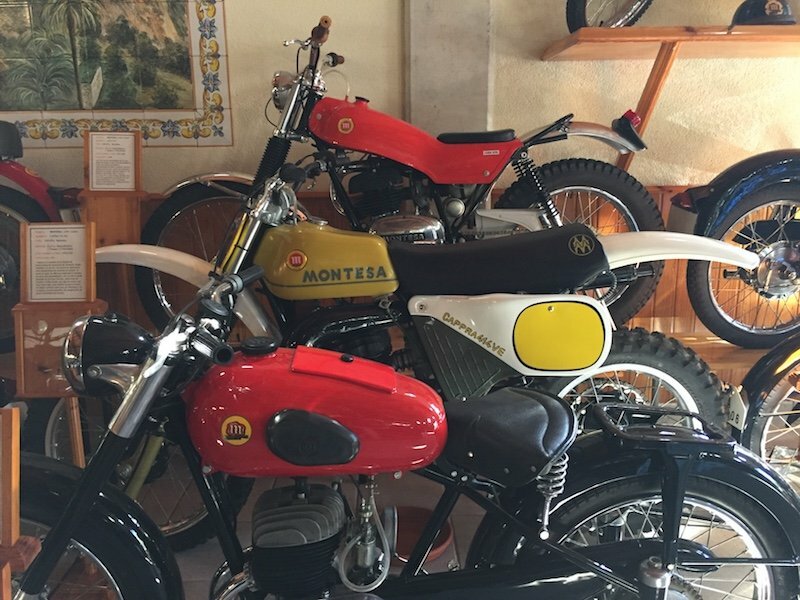 How fantastic for me, then, that this collection of around 130 bikes ignores most of that for post 50’s treats from Ducati-licensed MotoTrans, Bultaco, Ossa (a secret love affair of mine), Montessa and Derbi – the great names of Spanish motorcycling. There’s some unusual stuff too, like a fully kitted out WWII BMW sidecar with a machine gun, and a 1916 Henderson Four. Allow at least an hour for the museum and if you are planning to eat at the onsite restaurant, make sure you are there before 4.30pm, after which the cafe closes (the museum is open to at least 6pm). 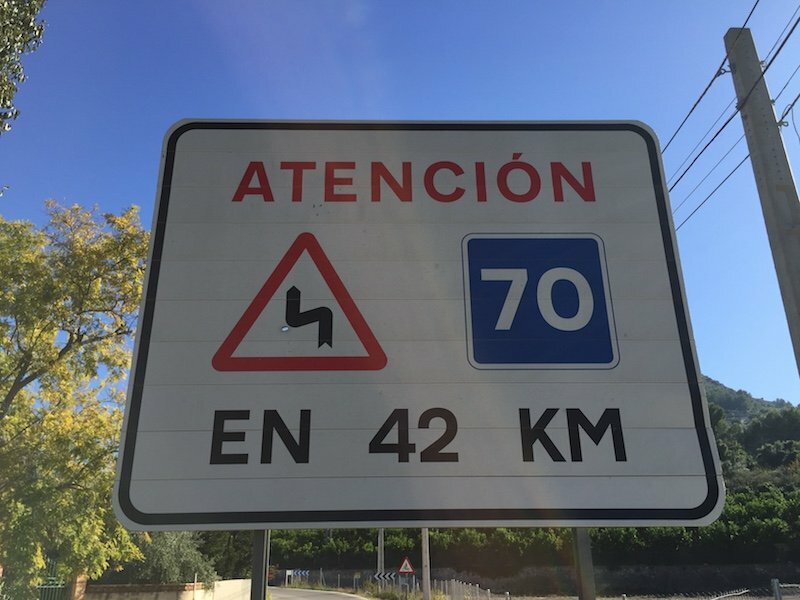 If you want to do the museum at the start of the ride (a good idea as you’ll be tired afterwards) then from Benidorm/Altea/Calpe start the route at Callosa d’en Sarrià and take the CV-755 east; If you are heading in from Denia/Xàbia take the CV-715 south from Parcent. You might also be tempted to stop at El Castell de Guadalest, only a short ride up from the museum, as it is impressive, though touristy. Depending on where you are coming from on the coast, you’ll most likely come on to the route on its eastern/south eastern side. To do the museum in the morning, go clockwise, to leave it for the afternoon, take the anti-clockwise direction. CV-700 to Planes, Alicante and continue on to Beniaia and Pego. Pego itself, by-the-way, is a great stop for a late lunch, with a tree-lined square in the centre offering bar and restaurant options and the feeling that you are in the real Spain, not the tourist version. 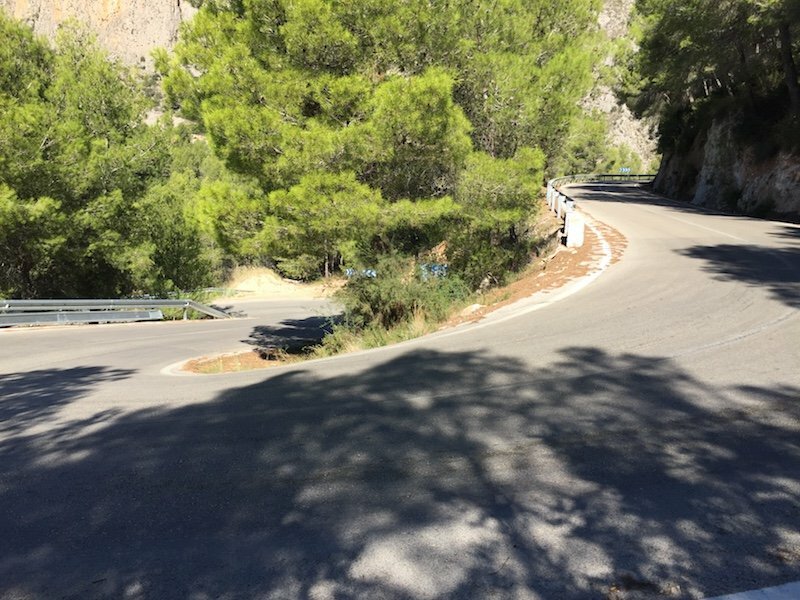 Which pretty much sums this route up – real Spain. Proper Spanish roads, with properly curved corners hugging decently-sized hills that even those lucky people in the Alps might be jealous of. 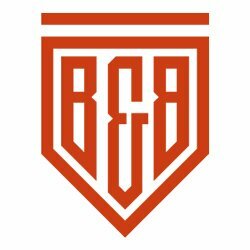 Seriously, I’m half tempted to just book a flight and bike and go and do the Costa Blanca Loop, as I’ll call it, all over again tomorrow. Cost €105 including helmet plus another €5 to hire a jacket and gloves. Fuel for the route was €12.50, entry to the museum €3.